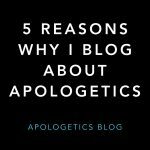 James Bishop is a thoughtful blogger who frequently writes on issues touching on theology, apologetics and biblical studies, I frequently link to his posts in my Midweek Apologetics Roundups. James recently wrote a thought-proving post called Why I No Longer Hold to Inerrancy & The Need For A New Model of Inspiration. James makes some very interesting observations about conservative views of inerrancy and inspiration. I would agree with a number of things that James says and I concur that there are some problems with some views of inerrancy. And yet I am saying that I continue to hold to inerrancy. 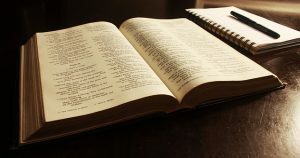 Biblical inerrancy is best described as the view that for the Bible to be the word of God it cannot err in any matters it touches on, including history, science, or philosophy. Simply, the Bible has no errors in it. The thrust of this argument is that if the Bible makes an error, no matter how insignificant that error might be, then it cannot be said to be God inspired for God is incapable of making errors or revealing error via revelation. This is not the view of inerrancy that I hold to. Like James, I see this view as difficult to defend. If I had to define inerrancy it be that the God made no errors in communicating through human authors the message that he wanted to convey concern the nature of God, the nature of humanity and the relationship between the two. I believe that God inspired the Bible, not as twenty-first century western texts but rather as ancient texts and they should be interpreted in that context. So if ancient histories exaggerated numbers and God inspired Scripture in the form of ancient history, exaggerated numbers are not an error. They are consistent with the genre. The same is true of the Gospels as ancient biographies. There are differences in details between the Gospels. Instead of trying to harmonize the differences, we should see that ancient biographies allowed for significant differences in detail. What many conservative Christians and atheists consider “errors” in the Bible, I see as normal and natural elements of ancient texts. God, in inspiring Scripture, was under no obligation to make it in the form acceptable to one specific culture and at one specific time. Some inerrantists work overtime trying to harmonize passages and smooth away discrepancies. A classic example is the claim that Peter denied Jesus, not three times but six times. Some of these details bothered me once but that all changed once I started reading other contemporary and similar texts. Once the Bible is read in its proper historical and literary context, what once looked like a mistake becomes just the way people wrote at that time. Let me say it once more. I don’t believe that God made any mistakes in inspiring the Bible. I believe the Bible is fully trustworthy when it comes to knowing God through Jesus Christ and what that means for our living our lives. That is a form of inerrancy that I can fully affirm. I appreciate your response and thank you for your humble, non/unantagonistic tone. And I appreciate your honesty. It was brave of you to say what you did. I believe many conservatives make the same the same mistake: If there is one mistake in the Bible then Jesus didn’t rise from the dead. Sad. I’m not sure what you mean when you say that inflated numbers aren’t an error. Yes, ancient texts tended to inflate numbers. (So do a lot of modern texts.) That’s because the ancient authors were either overestimating or deliberately lying. They are not an error if they are accepted aspect of the genre. I’ve nothing of substance to add to this but I think I’ve heard similar arguments like Bishop’s a while ago. I’ve been out the apologetics game for a while (as you know Steve to focus on writing) but I find it interesting that as I browse back through some of these topics, I see the same arguments kinda going back and forth that I used to devour several years ago. I wonder, are new people saying the same things over again, Steve? And that’s not being derisive or condescending but as I looked at both yours and Bishop’s responses I could almost swear I’ve heard both of these arguments years ago. I’ve no opinion on inerrancy because it’s not something that has ever bothered me on a personal level even when I became aware of this topic being ‘a thing’. One should be at least conversant on it of course so I’m glad you shared yours and Bishop’s thoughts on the matter.